The T-shirt. It’s a basic staple that went from practical undergarment to fashion statement in under fifty years. We tie-dye them, rip them, fill them with glitter and studs. We mass produce them with funny images and hand paint them like works of art. You can buy one for $3 at Walmart or fork over several thousand dollars for a simple, plain, couture shirt. But dig around in their closets and you’ll find that 44 percent of Americans own a promotional shirt that they probably didn’t even pay for. We all want our businesses to be successful. We want our customers and employees to happy. We want to be profitable and be a force in the marketplace. So what happens when the goals you set forth aren’t being reached? What can you do as an executive to refocus and re-energize your group? Just take a page out of the Boston Red Sox’ playbook: They went from last to first in just one season. This year’s championship marks the teams’ first World Series win at Fenway Park since Babe Ruth played there in 1918. Three regional associations have co-scheduled their shows to provide suppliers with a convenient way to see customers in the South. During the eight day run of the PPAMS, SPPA and GAPPP shows, suppliers will get face time with distributors from approximately eight different states. 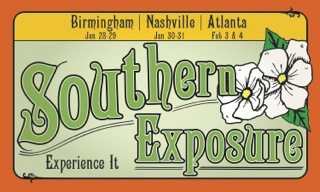 The shows kick off with the SPPA Tradeshow in Birmingham, Ala. on Jan. 28-29, followed by the PPAMS MidSouth PromoShow in Nashville, Tenn. on Jan. 30-31, and then concludes in Atlanta, Ga. with the GAPPP University and Expo on Feb. 3-4. SAGE announces its 2013 supplier rating award winners. Each year SAGE presents industry suppliers with A and A+ rating awards based on distributor ratings collected from SAGE Online and SAGE Mobile. For 2013, 939 suppliers received the top ranking of "A+," while another 540 suppliers received the second highest rating of "A". A total of 73 percent of rated suppliers in SAGE Online received an award this year. As part of the Power of Two relationship between SAGE and PPAI, the SAGE ratings are also incorporated into the eligibility for the industry’s annual PPAI Supplier Star Awards Competition. Eco-friendly products and “green” initiatives are nothing new in the promotional industry, especially in the apparel sector. But in many cases, cost has outweighed demand, relegating eco-friendly items to niche status, a fraction of apparel suppliers’ product offerings. That could soon change, if the retail world is any indication. In a sport that markets and sells its history, authenticators ensure fans, players, collectors, and the Hall of Fame receive genuine game-used memorabilia. Meanwhile, outside Fenway Park, Major League Baseball officials and code-enforcement officers patrolled the streets popular among souvenir peddlers before and after Games 1 and 2, cracking down on any unauthorized merchandise. They checked the authenticity of T-shirts and caps and confiscated fakes. Ho Ho Ho… It’s that time of year again. The kids are getting the last of their Halloween customs in order and you continue to nibble from the bowl of candy at the front desk so it must be time to talk about your company holiday gift! Each year it's imperative to send clients a gift at Thanksgiving rather than in December. Why? First, you are “thankful” for your relationships with your clients, partners and employees. Second, sending your gift early means you will have your audience’s full attention. Printing Industries of America announced its support for the introduction of the Innovation Act of 2013. The act, introduced by House Judiciary Committee chairman Bob Goodlatte and a bipartisan group of co-sponsors, aims to address the recent abuses of the legal system by patent-assertion entities, or "patent trolls." It is estimated that more than $29 billion per year is wasted on these lawsuits, not accounting for the loss of innovation. This bill would increase transparency, discourage frivolous patent litigation and update current U.S. patent laws. Looking for similar articles? Search here, keyword PATENT. Email is holding strong as the marketing vehicle that often produces the highest return for ecommerce merchants. Email can help to not only increase sales, but also make everyday administration and customer services operations easier and more efficient. Assuming, however, that the email program is executed properly. When it is not done properly, the result can be harmful. Marketers are making their lists and checking them twice when it comes to deciding what channels to include in their holiday campaigns this year. And if there's one channel marketers should definitely include it's mobile. Thirty-six percent of consumers say they shop with their mobile devices in-store more than they did two years ago, according to the October 2013 “Mobile Consumer Report: Combat Showrooming With Personalization” report by mobile marketing technology provider Vibes. But the mobile landscape is also changing. Many people use poor grammar when they post content to various social platforms. However, when not browsing posts on Facebook, Twitter, or LinkedIn, most of us still prefer to read articles, product descriptions, and other content in well-constructed, full sentences. This is forcing marketing professionals to create content that is specific to a particular platform. At the same time, it’s important to ensure that your message is consistent and visible across different platforms. We’re quickly moving into the final quarter of the year and it’s time to make sure resources are allocated to ensure the year’s goals are achieved. Too many times sales teams wait until it’s too late into the year to realize things have to change to make the sales goal. If this is you, then you’re not being a strong sales leader. What can you do?